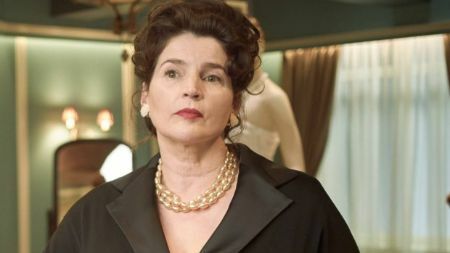 Nearly after 25 years of becoming Hollywood's It Girl, Julia Ormond is back in fashion since 2018. With a string of movies in the mid-1990s, the Surrey-born actress is often compared to acting royalty like Audrey Hepburn. Her personal life, however, isn't so smooth as compared to her on-screen character. With many ups and downs, and facings many inevitable circumstances including her two consecutive divorce, the lady stands still and strong with a great come-back recently. Let's take a tour in Julia Ormond personal life including her marital relationship and dating affairs, and not leaving her successful career in the entertainment industry behind! The English actress Julia Ormond is currently single, however, it doesn't mean that she didn't fall in love in past. As a matter of fact, the gorgeous actress remained in a married relationship twice in her life yet she hasn’t found the perfect home for her heart. Julia Ormond and her ex-boyfriend Gabriel Byrne. Ormond first married to actor Rory Edwards in 1989. The couple met while performing in Wuthering Heights. Unfortunately, their marriage could not last long as the duo divorced in 1994. Though she decided not to get married again, rumors fled that she dated fellow Irish actor Gabriel Byrne in between 1997 and 2000. It may be true as the married man to Ellen Barkin, at that time, got split in the year 1999, which clearly flashes that Gabriel's alleged romance with Julia might have something to tell about his divorce with Ellen. The rumors, however, swept off the floor as she reportedly cleared the misunderstandings breaking up her relationship with Gabriel and leaning onto her next love. 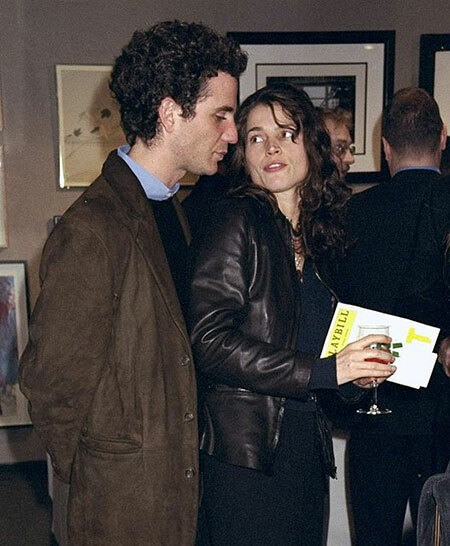 Julia Ormond and ex-husband Jon Rubin at a night party. She remained single for a time being. Moving on, she must have had a change in her heart sorting out to give herself a second chance in marriage. And yes, the beautiful actress Julia finally walked down the aisle after a year of dating with political activist Jon Rubin in 1999. With the hope that this marriage would work out, she even gave herself an opportunity to become a proud mother of her daughter Sophie Rubin in 2004. Julia Ormond with her daughter Sophie Rubin. Sadly, her second marriage also turned down into ashes as the couple filed for divorce nearly a decade after their marital relationship in 2008. Like in times before, things didn't go easy to the lonely mother after her split with Ron. She managed to stay still and hard as a rock after a hateful divorced with her second husband. She has been reported to indulge herself into some on and off a relationship. Yet, the lack of any legit evidence, we must say that it must be just gossip. Be that as it may, the still-beautiful lady is single as of now, that doesn't mean she couldn't find the true love of her life. Currently, she's focused on her career but who knows, a handsome and kind prince might appear from the blue moon again in her life! Almost after 25 years of becoming Hollywood's It girl, Julia Ormond is back in vogue! Julia Ormond is back in fashion! A marvelous performance as French cyclist Adrianna Baton in 2017's mockumentary, Tour de France, followed by her turn as Ruth Wilcox in recent mini-series version of Howard's End, the lady is back on the big screen in the Aussie period in "Ladies in Black" in 2018. Based on Madeleine St John's 1959-set best-selling 1993 novel The Women in Black, the drama/comedy focuses on the lives and loves of the staff at Sydney's FD Goodes department store. The English actress plays immigrant Magda, the stylish, no-nonsense boss of the Modern Gowns section, who takes new recruit Lisa (Angourie Rice) under her wing. To that, Ormond admits one aspect of her Ladies' character was a bit of a stretch for her – Magda's flair for fashion. Also, she added that it "really touched me because it's about the invisibility of women and explores dysfunctional family dynamics". She's currently working on her upcoming miniseries Gold Digger on BBC One playing the role of Julie Day in 2019. Julia Ormond was born on 4 January 1965, in Epsom, Surrey, England. She is the daughter of Josephine Ormond, a laboratory technician, and John Ormond, a stockbroker. The second daughter of John, Julia grew up along with the other four siblings. The 54 years old actress stands with a fair height of 5 ft. 6 inches on the ground. As of 2019, Julia Ormond's estimated net worth is $5 million.